Federal authorities arrested five individuals connected to San Fernando Valley clinics and a significant health care fraud scheme. On May 22, a federal grand jury indictment was unsealed. The indictment alleges that the five individuals engaged in a health care fraud conspiracy over multiple years and targeted at least eight health insurance companies and the International Longshore and Warehouse Union, the Pacific Maritime Association Benefit Plan, and the Federal Employees Health Benefits Program. Roshanak “Roxanne” or “Roxy” Khadem, 50: Khadem owned and operated two clinics, R&R Med Spa and Nu-Me Aesthetic and Anti-Aging Center. Dr. Roberto Mariano, 59: Mariano helped operate the clinics. Marina Sarkisyan, 49: Sarkisyan was a clinic office manager. Lucine Ilangezyan, 38: Ilangezyan was an insurance biller for the clinics. Gary Jizmejian, 44: Jizmejian was previously a senior investigator at the Anthem Special Investigations Unit, the insurer’s anti-fraud unit. The indictment alleges that the co-conspirators induced patients to visit the clinics for free cosmetic procedures, such as Botox injections, facials, and laser hair removal. These procedures were not covered by insurance. The co-conspirators would gain the patients’ insurance information and bill their insurers for medical services that were unnecessary or never provided. 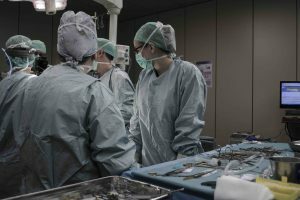 The defendants then used some of the illegally obtained proceeds to calculate a “credit” the patients could use for discounted or free cosmetic procedures. The defendants submitted at least $20 million in insurance claims and were paid approximately $8 million. The indictment also states that Jizmejian, for cash payments, would provide Khadem and others with confidential Anthem information. This information helped the defendants submit fraudulent bills to anthem. In September 2012, Jizmejian gave Khadem insurance billing codes that the conspirators could use without the fraud being detected, such as the code for an allergy-related lab test. This code was used to submit about $1 million in false claims. Additionally, the indictment alleges Jizmejian strove to prevent insurance companies from detecting the fraud, including helping Khadem avoid responding to insurer’s inquiries and diverting insurers’ investigators’ attention to other issues. In September 2015, Jizmejian told Khadem about the federal investigation into the clinics based on confidential Anthem information. The indictment states that all five defendants are charged with one count of conspiracy to commit health care fraud and 13 counts of health care fraud. Each charge can be penalized with up to 10 years in prison and fines. The indictment also contains criminal forfeiture allegations, which seek to have the proceeds of the crime forfeited. Are You Aware of Health Care Fraud? The health care fraud scheme above was investigated by federal and state authorities. However, many health care fraud schemes are uncovered by individuals. If you have evidence regarding fraud perpetrated against a state or federal health care program, such as Medicare or Medicaid, then you should contact a skilled San Francisco health care fraud attorney at Brod Law Firm right away. We have years of experience handling health care fraud and qui tam claims.